S/Sgt. Fred Raymond Wyckoff Jr.
(Sept. 9, 1943) -- Staff Sergeant Fred Raymond Wyckoff, Jr., 28, was killed in action in the North African Theatre of Operations on August 9, 1943. The son of Anna and Fred R. Wyckoff of 481 Union Avenue, he was graduated from Belleville High School in 1933. 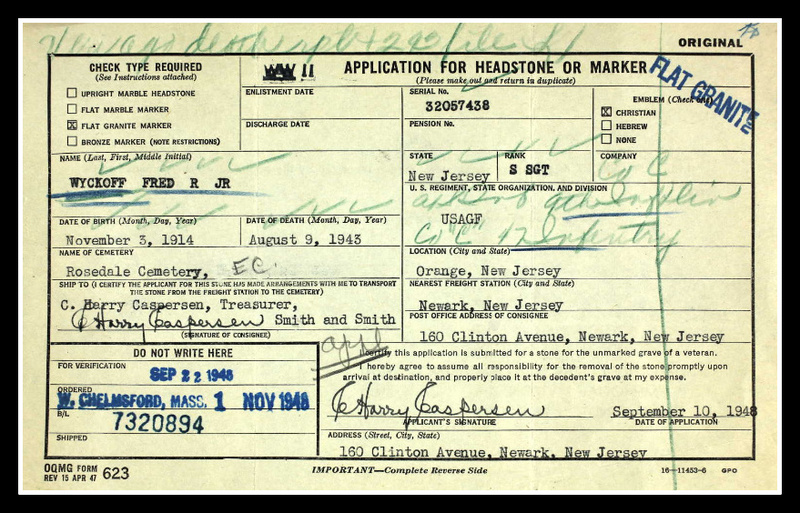 Having worked as a clerk in civilian life, he left town for the Army and enlisted on January 24, 1941. He received training at Fort Bragg, N.C. He was in the battle of Tunisia having landed with the first invasion force in North Africa last November. 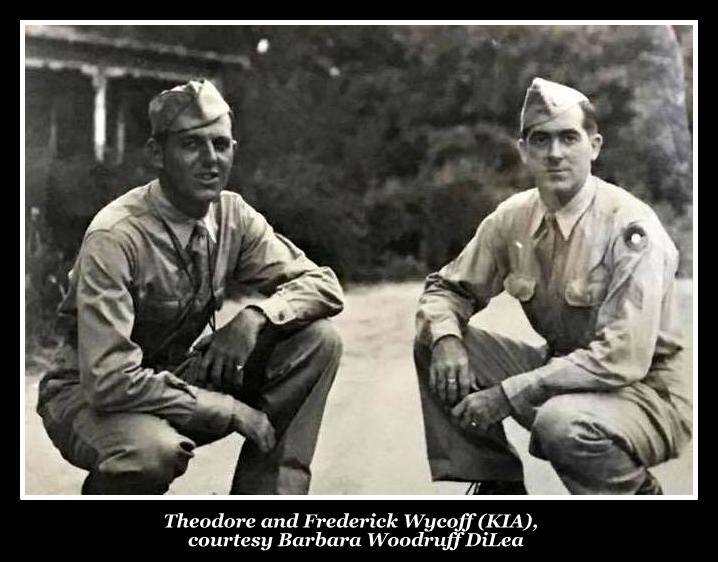 Fred R. Wyckoff was killed in action in Tunisia on August 1943. His remains were repatriated and interred at Rosedale Cemetery, Orange, N.J. Among his survivors is a brother Sgt. Theodore Wyckoff, 24, in Colorado. From left, Sgts. Theodore Wyckoff and Frederick Wyckoff. The Archives of the Reformed Church in America; New Brunswick, New Jersey; Church records; Pastoral records of the Reverend Francis M Kip, Jr.